Lutherville Therapist: Gabriel Newman - Therapist 21093. Send A Message To Gabriel. Rigorous science is the underpinning of my training; starting out with doctoral training at City University of New York in Neuropsychology, continuing with Developmental Psychology at University of New Orleans. Thus, evidence-based therapy is still my fundamental orientation; however, therapy needs to be as diverse in expressive form as the diversity of the human spirits who seek its benefits. In the quest to truly help people, my training has incorporated thorough training in marital and family therapy, hypnotherapy, bio and neurofeedback, mindfulness techniques, medical and health psychology, forensic evaluations and testifying, mediation, and the full gamut of neuropsychological testing and evaluation. 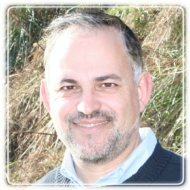 My past includes leadership of congregations in the role of Rabbi, thus I value the spiritual realm and am comfortable exploring your theological/spiritual needs and support systems; simultaneously, I value the right of every individual to choose their own value system and render professional support in an authentically non-judgmental manner. Since I believe in contributing to my professional discipline, I supervise many psychology associates and developing psychologists. This is the best method available to me to enhance standards of professionalism within psychology, and to spread benefit to many more than I am able to personally help. I might agree with you that life hands out formidable challenges to some of us; however, I will also challenge you to see, with me, that within the world of reaction to those challenges, there is a great range of choice and personal power that the individual can exercise, and that our job is to explore that range.